In 1562 Jean Ribaut (also spelled Ribault) sailed to the New World from France with a group of Huguenots. 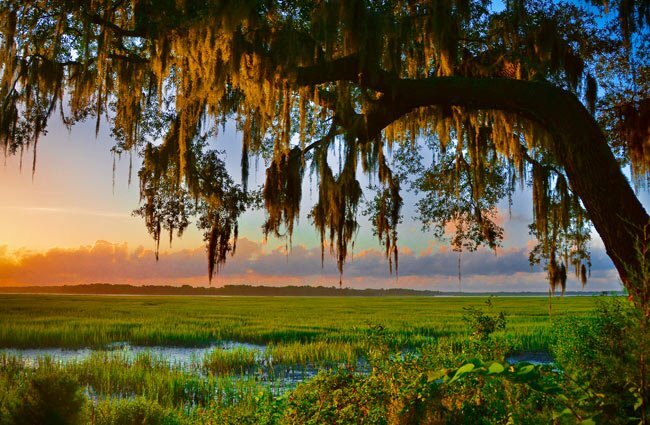 Deeming there “no faurer or fytter place” than the land along the Beaufort River, he named the settlement Port Royal. Above is a monument to Ribaut, which reads, Here stood Charlesfort / Built 1562 by Jean Ribaut for Admiral Coligny / A Refuge For Huguenots and to the Glory of France. The monument was erected in 1925, after an archaeologist believed he had found the remnants of Charlesfort. However, these remnants were actually Spanish. In 1995, archaeologists from the University of South Carolina discovered Charlesfort’s true location nearby – under a later Spanish fort called San Felipe, which served as the anchor of the 1566 settlement of this same site by Spaniards. 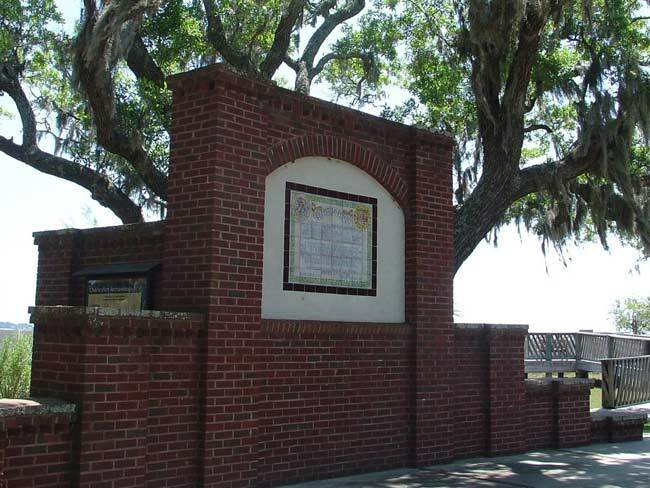 Though Port Royal is often credited as the site of the first European settlement in our state, it is possible that it was actually the site of the first European settlement in the continental United States. In 1514, nearly 50 years before Charles Fort was established, Pedro Salazar of Hispaniola was commissioned by wealthy Spanish officer Lucas Vasquez de Ayllon to explore more of the New World. Salazar landed somewhere along the coast between North Carolina and Georgia at a site he named “Land of the Giants” in honor of the natives’ size. Excited about Salazar’s discovery, Ayllon commissioned subsequent Spanish voyages in 1521 and 1525. On August 18, 1525, Captain Pedro Quexos came upon a point he called La Punta de Santa Elena after the virgin Saint Helen of Auxerre, France, whose martyrdom is remembered that day. Though the location of this place is no longer known, scholars now suspect it may have been Tybee Island in Georgia. Salazar, Quexos, and Quexos’s fellow captain Francisco Gordillo did not linger along the Atlantic Coast but reported back to Hispanola (Quexos’s ship was lost during the return of his second trip). In 1526 Allyon himself sailed with six ships and more than 600 West Indian settlers and slaves. Their colony, San Miguel de Gualdape, predated Jamestown by 45 years and Saint Augustine by three years. 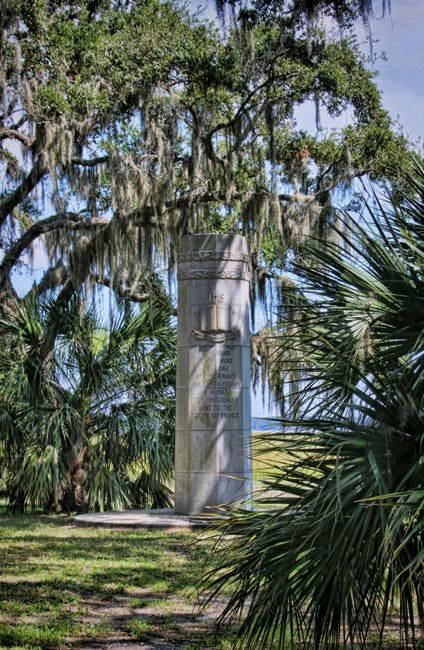 Many twentieth century historians believed they landed at Port Royal, though others now place their location nearer the mouth of the Savannah River. Faced with the onset of winter with no supplies, surrounded by hostile natives, and thoroughly demoralized, the settlers of San Miguel de Gualdape abandoned their colony and set sail for Hispaniola. On the bitter cold passage home seven men froze and one man, driven insane by hunger, ate the frost-bitten flesh from his own bones. The body of … Lucas Vasquez de Allyon was lost at sea; of the 600 original colonists only 150 survived to return to Hispaniola in 1527. Interestingly, one lasting result of these early explorations came in the form of a name. Santa Elena carried over to a later Spanish settlement at Parris Island, established in 1566, and today Saint Helena is the name of an island located near Port Royal. This makes it one of the oldest names in America. Various settlers claimed Port Royal over the subsequent years, including the Spanish and French (again), along with the Dutch, English, and Scottish. Troops fought for the port town in two wars: Colonists defended Port Royal from the British during the Revolutionary War, and Confederates surrendered it to the United States Navy during the Civil War. After the Union victory, the town became the site of the Port Royal Experiment. The Port Royal Experiment was a government program that taught newly-freed slaves to operate and manage land abandoned by plantation owners. On January 1, 1863, the Emancipation Proclamation was read to thousands of former slaves at nearby Camp Saxton. 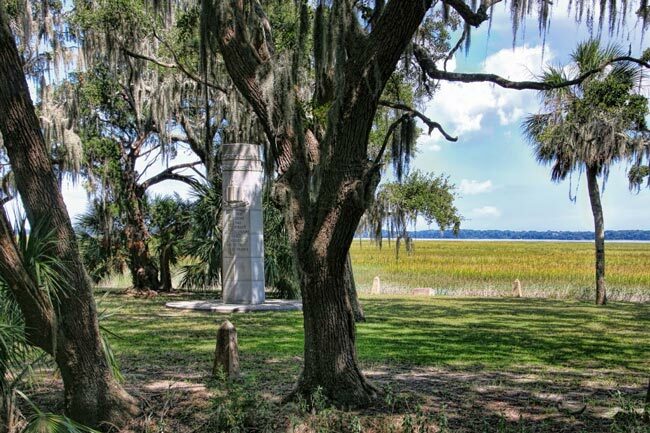 Camp Saxton was the site occupied by members of the First South Carolina Volunteers, the first black regiment of the United States Army. On January 1, 2013, the town celebrated the 150th anniversary of the reading of the Emancipation Proclamation at the Camp Saxton site under what is now known as the Proclamation Tree. 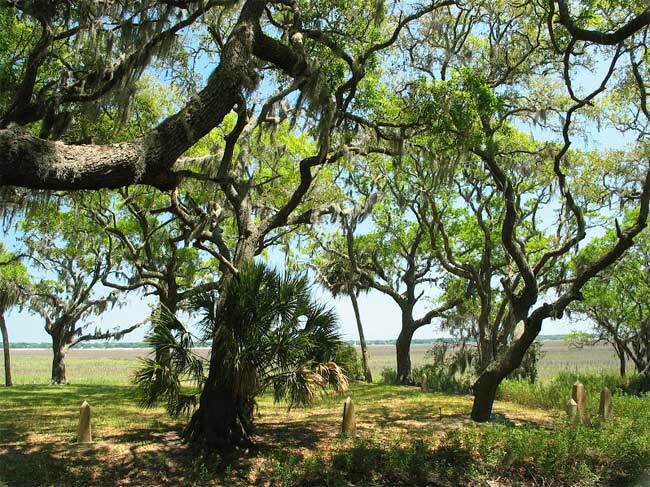 Learn more about the history of Port Royal and Parris Island. This is great information. I want to one day visit the area and conduct research. Any further information concerning Santa Elena and Charlesfort would be greatly appreciated! Very, very informative! Great for a project.